As you well know, we are getting closer to my birthday. Every year there is a celebration in my honor and I think that this year the celebration will be repeated. During this time there are many people shopping for gifts, there are many radio announcements, TV commercials, and in every part of the world everyone is talking that my birthday is getting closer and closer. It is really very nice to know, that at least once a year, some people think of me. As you know, the celebration of my birthday began many years ago. At first people seemed to understand and be thankful of all that I did for them, but in these times, no one seems to know the reason for the celebration. Family and friends get together and have lots of fun, but they don’t know the meaning of the celebration. I remember that last year there was a great feast in my honor. The dinner table was full of delicious foods, pastries, fruits, assorted nuts and chocolates. The decorations were exquisite and there were many, beautifully wrapped gifts. It was so touching they put a manger in the corner as a part of decoration, yet it was just a manger, they didn’t know the true meaning why I was there more two thousand years ago. Even worse, do you want to know something? I wasn’t invited to the party. I was the guest of honor and they didn’t remember to send me an invitation. The party was for me, but when that great day came, I was left outside they closed the door in my face and I wanted to be with them and share their table. In truth, that didn’t surprise me because in the last few years all close their doors to me. The same as it was two thousand years ago the innkeepers close their door for me. Since I wasn’t invited, I decided to enter the party without making any noise. I went in and stood in a corner. They were all drinking; there were some who were drunk and telling jokes and laughing at everything. They were having a grand time. To top it all, this big fat man all dressed in red wearing a long white beard entered the room yelling Ho-Ho-Ho! He seemed drunk. He sat on the sofa and all the children ran to him, yelling: “Santa…!, Santa…!” as if the party were in his honor! At midnight all the people began to hug each other; I extended my arms waiting for someone to hug me and do you know no-one hugged me. Suddenly they all began to share gifts. They opened them one by one with great expectation. When all had been opened, I looked to see if, maybe, there was one for me. What would you feel if on your birthday everybody shared gifts and you did not get one? I then understood that I was unwanted at that party and finally I just had to leave. I walked out the door. It was no surprise that no one even noticed that I had gone. Every year it gets worse. People only remember the gifts, the parties, to eat and drink, and nobody remembers me. I would like this Christmas that you allow me to enter into your life. I would like that you recognize the fact that more than two thousand years ago I came to this world to give my life for you, on the cross, to save you. Today, I only want that you believe this with all your heart. I want to share something with you. As many didn’t invite me to their party, I will have my own celebration, a grandiose party that no one has ever imagined, and a spectacular party. It might not happen this year, but I’m sending out the invitations now. I hope you’ll want to come. There is going to be room for billions, for everyone who wants to come! Some really famous old timers and celebrities are going to be there and I’ll reserve you a seat of honor right with them. And I say to you that many will come from east and west, and sit down with Abraham, Isaac, and Jacob in the kingdom of heaven. (Matthew 8:11). I’m still making the final arrangements. So hold on to your hat because when everything is ready, I’m going to spring it as a big surprise! Many people are going to be left out in the cold because they didn’t answer my invitation. Let me know right away if you’d like to come. I’ll reserve a place for you and write your name in large golden letters in my great big Guest Book! Your beloved friend forever and ever,Jesus. Question to ponder: have we personally opened the door of our heart and invited Jesus to come? On the day of His birth where we put Jesus in our lives? Whether as an honored guest, or even we totally forget about him and we just busy with our gifts and party? 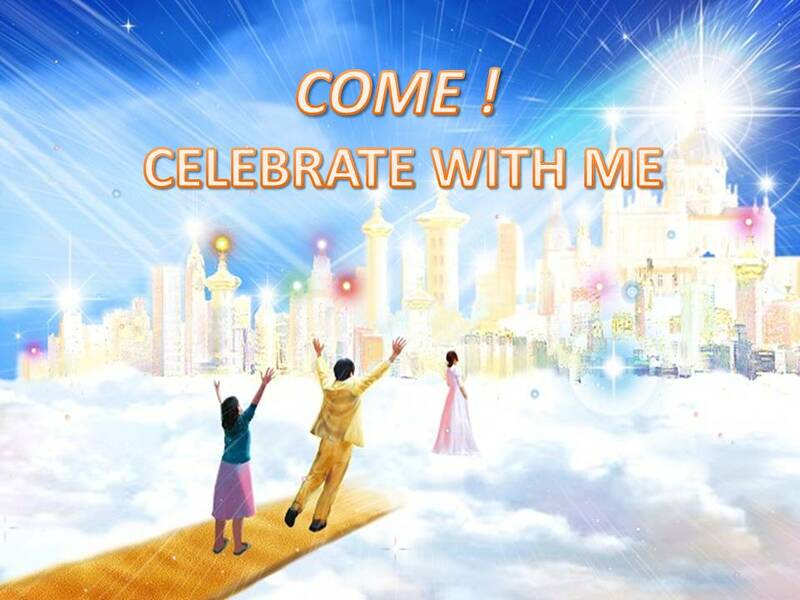 Will we come and join to His gracious party as His great guest? Are we ready for His invitation? My beloved readers, this post will be my last post this year. I will come back next year. I, my husband, and our little son Andrew say “Merry Christmas and Happy New Year” to all of you. You all so precious for us and we are so blessed to have you all. Thank you for your support to my blog. God bless you.